Soy is a versatile and nutrient-rich food, found in nearly every aisle of the supermarket. Soyfoods have many natural health properties and are full of protein, carbohydrates, fiber, healthy fats, vitamins and minerals. 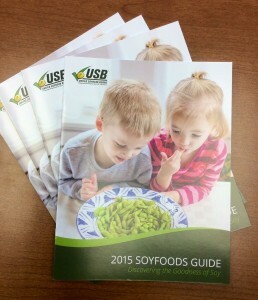 To learn more about the health and nutrition of soyfoods, the benefits and versatility of soybean oil in food production and how to incorporate soy into your diet, visit SoyConnection.com or download the Soyfoods Guide for more information and soy recipes.